The Pop-up Christmas Experience Concept is a service concept that turns any event venue into a Lappish Christmas Wonderland. 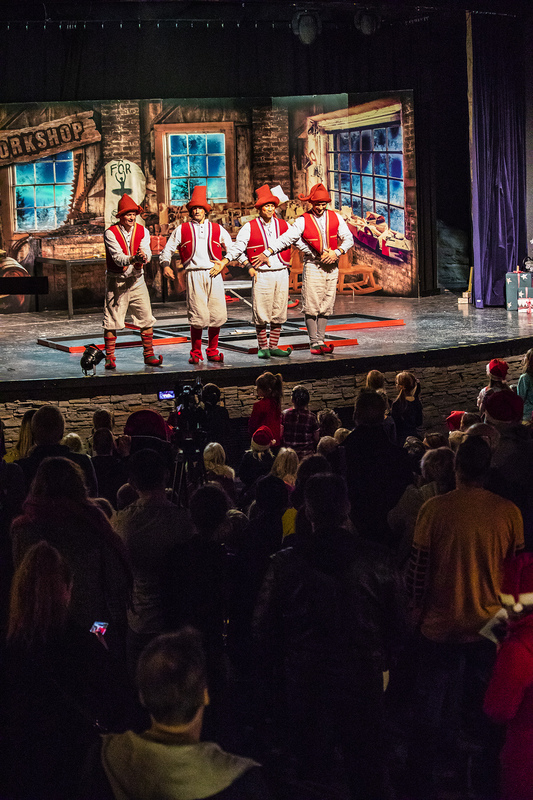 Each Pop-up Christmas Experience Concept entirety includes atmosphere-rich props and trained professional performers – energetic, happy elves, and of course Santa Claus, implemented according to the requirements of the venue and event. The authentic Lappish Santa Claus is included in the Pop-up Christmas Experience Concept. He has completed training according to the requirements of the Santa Claus Academy that, in addition to language studies, includes child psychology studies and exploring the Christmas traditions of different countries. More about Santa Claus here. Click here to find out more. The core of the Pop-up Christmas Experience Concept is Lappish Christmas: we bring with us a touch of Arctic Circle magic. The Pop-up Christmas Experience Concept is perfectly suited as the main attraction for family festivities, as part of a larger event or Christmassy media production. If necessary, the Pop-up Christmas Experience Concept can be identically and simultaneously implemented at a number of different venues. Our elves are professional performers, each having their own distinctive style and special skills. Elf costumes look the same and are in line with the concept. Check out the small fairy-tale details!